Got it? 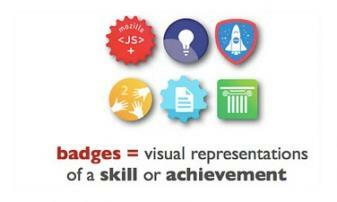 In short, badges are ways of signaling student mastery or achievement in a given area. Take this example from Inside Higher Ed of what UC Davis, a leader in the badging movement, is doing. 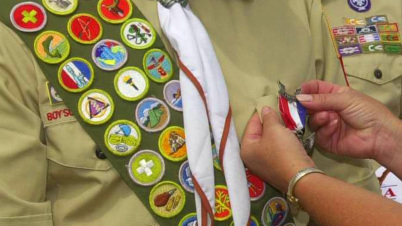 They settled on badges, with an undergirding of competencies that describe the learning outcomes and skills students need to successfully complete the major. The University started using badges in its Agricultural Sustainability Institute. Leaders there asked employers in the field to work with faculty to determine the key competencies for students (the list included systems thinking, experimentation and inquiry, understanding values, interpersonal communications, strategic management, civic engagement and personal development). For each area, the University then created a badge that students could earn after demonstrating mastery (through a variety of assessments). Pretty cool right? Khan Academy and Ted are also doing similar versions of this system. So when will this trend start hitting secondary school? Maybe not today, maybe not tomorrow, but someday soon for sure!